We find ourselves always searching for the right answer. We spend hours on the internet searching for the key to our problems, we listen and try to follow our friend’s advice, we read all the relationship improvement books but yet we still get stuck in the vicious cycle of fighting with our partner. For the majority of these couples, they find themselves arguing over the most senseless things and can’t find a way out of this cycle. So what does “fighting” or “arguing” look like? I usually describe it as a never-ending, heated battle of exchanging or diverging your opposite views on one another. The never-ending cycle of arguing can make you feel an array of emotions such as: anger, hurt, sad, exhausted and drained. By the time I see these couples they are so drained and desperate to find a solution to this never-ending battle. How do we get stuck in this cycle? Was this a behavior something we learned or saw growing up and maybe we just don’t know any better? Is it a way to protect ourselves in the relationship out of fear of being abandoned? Are we holding onto resentment and are triggered the second we are questioned about anything? Well, what I can say is it takes two people to get stuck in this cycle. One important factor I can’t stress enough to couples in a session is that both partners have a part in the arguing. Blaming one person will not resolve the conflict nor teach you to do things differently. So what I tend to do is start by helping the couple realize conflict, arguing and fighting involves both partners! Let’s all say it together. It takes both partners. So, what is the key to change here? Two words. Your response. Have you ever tried to respond differently when your partner begins to escalate an argument? Our first initial response can be fight or flight. Sometimes we are just wired this way. We either want to run away from conflict or fight back. But now let’s start to think differently. For example, your partner comes home and is upset that you forgot to pay last month’s rent. Your partner begins to raise their voice and badger you on and on about late fees, and how disappointed they are in you. Your first reaction might be to defend yourself. Maybe you actually have a good reason as to why you forgot to pay the rent. Maybe the finger pointing triggers you in some way and you want to point the finger back at them. This is how we would normally react right? Let us see how your response actually can de-escalate a conflict or argument. Let us try saying something we normally wouldn’t say such as “Honey, you are right. I messed up. Let us calm down and find a solution together right now”. So what’s happening here is your responding in a way to actually calm your partner down and de-escalate the situation. 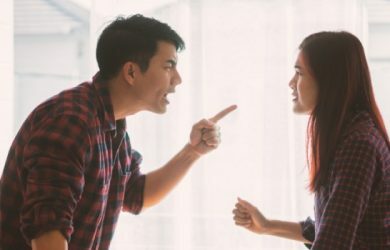 Regardless of who is right and wrong, we have the ability to respond and react in a way to calm our partner and help diffuse the situation before it blows up in our face and gradually improve our marriage communication. 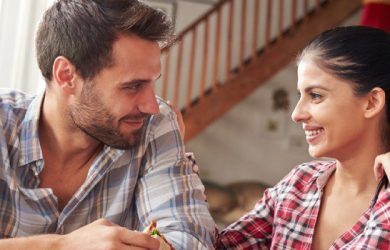 If both partners begin to notice how they respond during a conflict or argument and begin making these small changes in their reaction and response to your partner you will begin to see less conflict, arguing and fighting in the relationship. So in conclusion, the next time that you are faced with conflict, remember those two words: Your response.